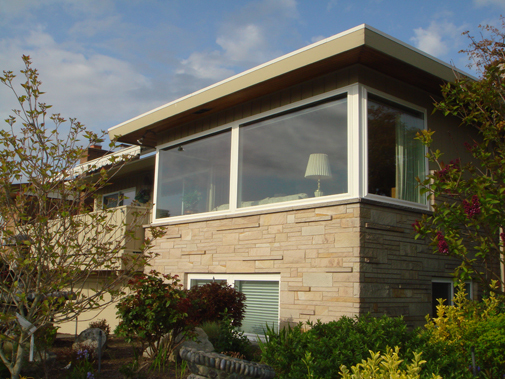 Do You Need Vinyl Replacement Windows and Doors in Sammamish, WA? Are you shopping around to find the best vinyl replacement windows and door in Sammamish, WA? You will see that there are many different types of products that you can choose from for your home, but it is essential that you are careful with your decision to ensure that you select high quality products. When you are investing money into upgrading your home, you deserve to have the peace of mind to know that you are getting a good value for the money spent. At Signature Window & Door Replacement, we are experts in the industry of vinyl replacement windows, and our goal is to leave you completely satisfied with the products and services that we provide. We know there are many contractors that offer similar services, and we want to show you why we are one of the leading contractors in Sammamish, WA and the surrounding areas. Quality is our focus, and we want to help you find high quality windows at a price that you can afford. If you need help with vinyl replacement windows for your entire house, we can handle the project to ensure that you are completely satisfied. Is it Time to Replace Your Windows and Doors? There are a few things that you can do to tell if it is the right time to replace the windows and doors in your Sammamish, WA home. If you live in an older home and the original windows and doors are still in place, then it is likely that you need to change them out to improve the quality of your home. Another way to determine if it is the right time for vinyl replacement windows and doors is to consider your goals for the project. If you want to change the appearance of your home, then replacement windows and doors can be a good addition to help you reach these goals. Also, these replacement windows and doors can be helpful to improve the value of your home. When you are planning to sell the property, you need to consider the overall quality and the details that went into the design and style of the home. Upgraded windows and doors can help with the value of your home. To safeguard the success of your home upgrades, you need to work with a contractor who has a good reputation in the industry. It is always best to choose a contractor with a proven track record, instead of selecting a company that is not as well established. Here at Signature Window & Door Replacement, we have an experienced staff that can help with anything that you need. Since we are experts in the industry, you can always contact us to ask questions or learn more about the options that are available. One word of caution: some home owners are looking for the cheapest price that they can find, but it is important to understand that you get what you pay for. If you want high quality windows and doors, you need to work with a contractor that is focused on the quality of the project. At Signature Window & Door Replacement, we are always focused on customer service and your satisfaction. We want to help you save money and get high quality products and services at the same time. When you choose the upgrade projects for your Sammamish, WA home, you need to consider the areas where you will get the most impact for the investment that is made. It is amazing to how much vinyl replacement windows and doors can make a difference to improve the overall appearance and quality of your home. Not only will these home improvements change the style of your home, but you will also enjoy the living space because of the increase in natural light that comes inside. At the same time, you will enjoy other benefits of vinyl replacement windows and doors as well, such as improved energy efficiency, better security, minimal maintenance, and more. You can easily learn more about all of the benefits that are available by talking with our team at Signature Window & Door Replacement.